There is no denying that the mountains were shrouded with an air of pessimism just over a week ago. 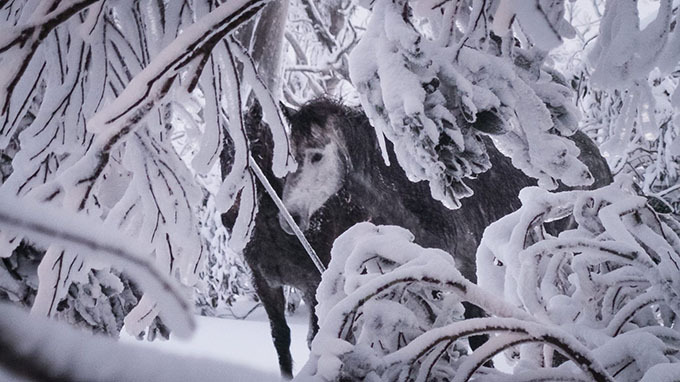 The media had been relentless in its dire predictions for the Australian snow season, the combination of an El Nino and the drawn out summer in southeastern Australia apparently setting us up for a shocker. When the opening weekend came and went with no snow, just a minimal man-made cover at Perisher, the doomsayers were in overdrive. Of course, everyone who lives in the mountains knew the lack of snow was typical for early June and while people were not panicking, the daily doom stories were taking their toll. The lone voice in the wilderness was The Grasshopper, who told me very early in the piece that June 23 was looking likely as the first decent storm while also pointing June 14 had potential. We ended up getting 20cm on June 14, enough to put a smile on faces, but the snowfalls we were blessed with last week were beyond my expectations. 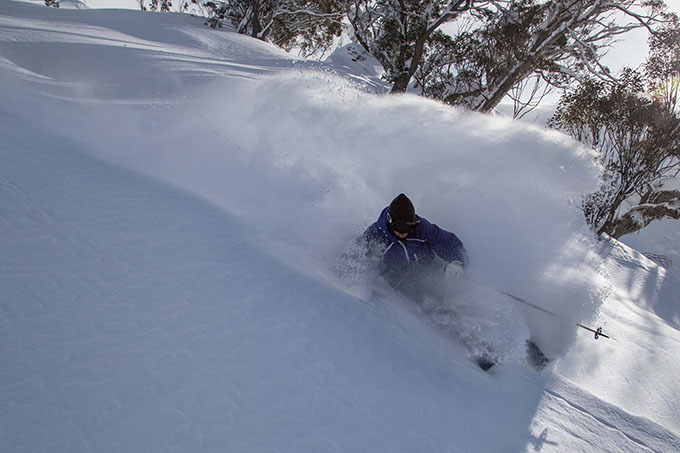 Last Monday, June 23, Perisher had Front valley open and Thredbo had a goat trail for beginners on Friday Flat. They were the only lifts opening Australia. Then as forecast, it started snowing at midday, intensified during the afternoon and overnight and the next morning people were skiing 30cm of fresh snow down High Noon and at Merritts. 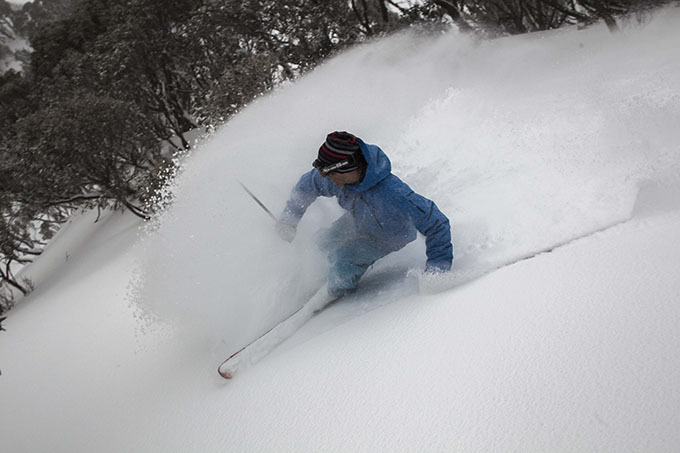 My first turns that morning were through the Bluff in Thredbo, which had filled in dramatically during the storm. I can only recall skiing the Bluff in June a couple of times, but usually you have to be pretty careful due to rocks and obstacles. Last week you could let ‘em run, hard to believe as 48 hours earlier it was just shrubs and rock. Come Sunday morning, there was another 50cm in 24 hours and as the snow kept falling those who braved the wind and poor visibility were rewarded with another day powder turns. The weather finally cleared by Monday morning, but most resorts we’re reporting another 10-20cm since lifts closed, so it was the first blue-bird powder day of the year. Cold temps kept the snow nice and dry and I had a few runs that morning that are up there with some of the best I’ve had, definitely the best I’ve had in June. Two days later, and people are still raving about the quality of the snow. 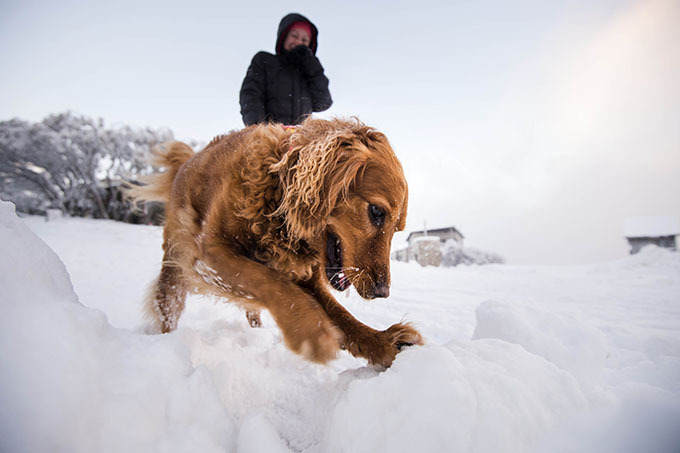 This morning all lifts and terrain we’re open in Perisher, Thredbo, Charlotte Pass, Hotham and Falls which al have a base of over a metre. Buller has a 60cm base and 14 lifts open, while the smaller resorts of Selwyn has all lifts open on a 60cms base and and Baw Baw has five out of seven lifts open on a 40cm base. While it’s the best cover we’ve seen in school holidays for a long time the crowds are down with hardly any lift lines. Maybe that’s because all lifts are open with 100% of terrain accessible which spreads out the crowd or a lot of people were scared off by the slow start. 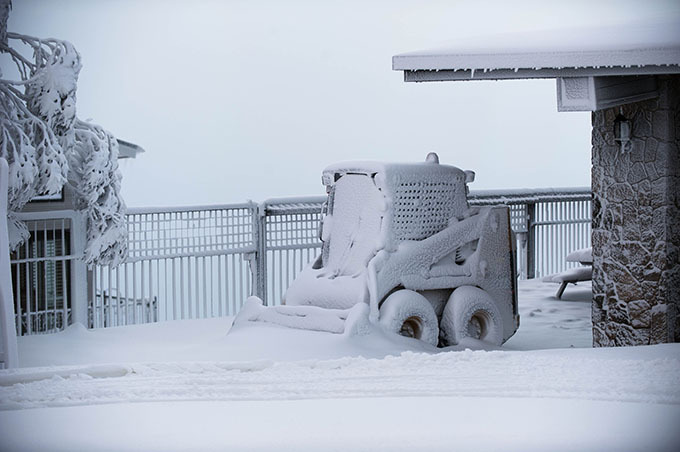 Ironically, even with all of this snow over the past week, the snowmaking conditions have been borderline and they have only fired up a few times this season. That’s a concern for the lower areas in all resorts as they need to build up a solid base for the rest of winter. More snow is due this weekend and The Grasshopper is talking about another from around July 9-10. If that comes through with another 20-30cm things are looking good for the peak season.